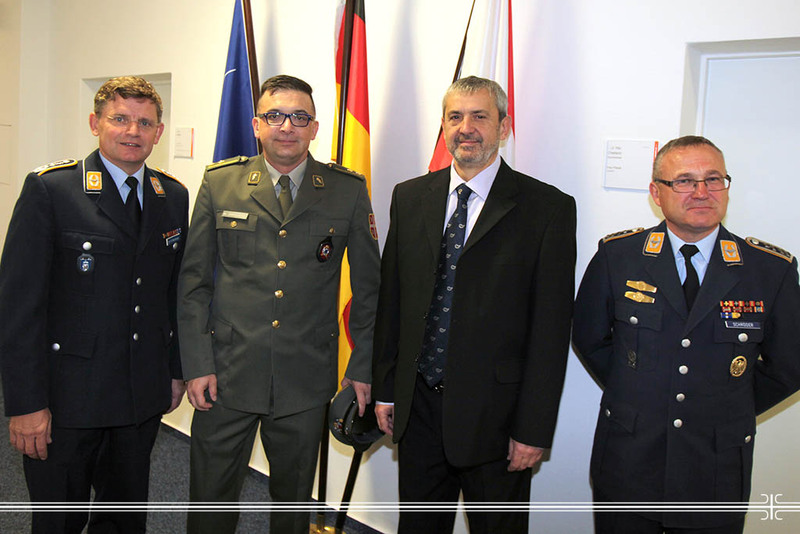 Representatives of the Military Medical Academy were on a three day visit to the Military Hospital in Berlin within the bilateral military cooperation between the Ministries of Defence of the Republic of Serbia and Federal Republic of Germany. Head of the Clinic for Psychiatry MMA Prof. Dr Zeljko Spiric and Lt Colonel Dr Miodrag Jovanovic from the MMA National Poison Control Center had a chance to share their experience with colleagues from one of five military hospitals of the Bundeswehr which is at the same time the academic base of the largest European clinic “Charite”. Since one of main topics during the visit was the exchange of experience in the field of diagnosis and treatment of posttraumatic stress disorder, both parties stressed the importance of prevention, diagnosis in due time and adequate treatment of this disorder. The great importance was given to rehabilitation and resocialization of patients i.e. members of the Armed Forces as well as to those participating in the peacekeeping missions nowadays around the world. MMA’s representatives had a unique opportunity to visit also the Institute of Human Development “Max-Planck“.